New Hampshire is changing its strategy to deal with an invasive pest that destroys ornamental and forest ash trees. Since the emerald ash borer was first discovered in New Hampshire in Concord in 2013, the state has pursued a county-by-county quarantine, which restricted the transportation of wood products across county borders. But after infestations were recently detected in Grafton and Carroll counties, the state is no longer regulating ash logs, ash products or the transportation and processing of firewood at the county level. 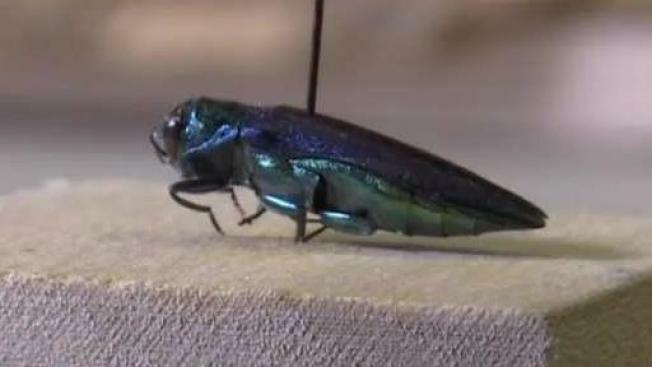 Officials say the quarantine helped slow the introduction of the pest to counties with high populations of ash trees, and they are still recommending that people using firewood follow the "Buy it where you burn it" rule to help slow the borer's spread, alongside other invasive species.